Aurora Keys is heartbroken, struggling to forget the beautiful and enigmatic Jessie Vanderlind, who has told her it is too dangerous for them to be together. And he may be right. Jessie is, after all, a vampire. But that doesn't make forgetting him any easier. Just as Aurora is starting to pull her shattered life back together, Jessie reappears at her window with a warning: there are many vampires who want to see her dead and him locked in a coffin for a hundred years. Aurora and Jessie are accused of staking a vampire for the sake of a human and must fly to Budapest to plead their case in front of a vampire tribunal. 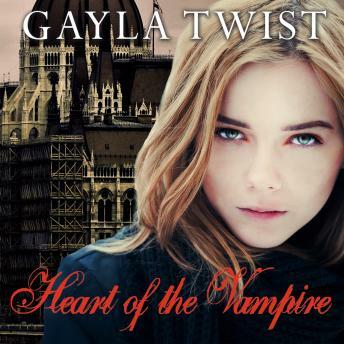 Their only hope of survival is to convince the world's oldest vampire family that they are desperately in love-and have been for nearly eighty years.